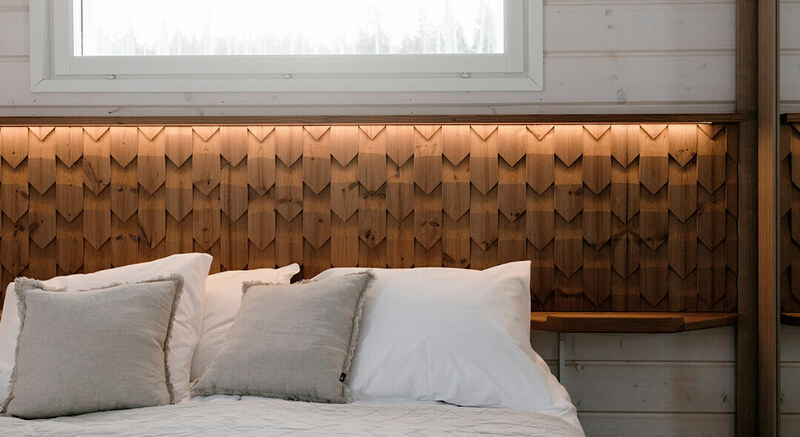 The summer cottages feature bed ends made of Lunawood’s Jukola 3D texture panels. The spot lighting brings the 3D pattern beautifully out. 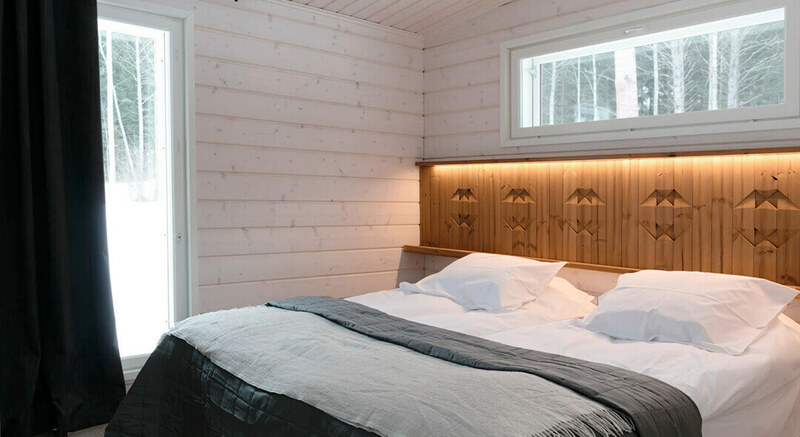 Jukola product portfolio includes six beautiful textures perfect for interiors and exterior applications as the material is weatherproof and dimensionally stable Thermowood. The product is also available in custom designs.